Hamann Manus was introduced in 1925. Designer was Christel (Christian) Hamann (1870-1947). 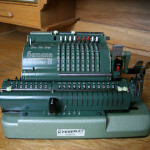 Before becoming g chief engineer of DeTeWe he designed several calculators. 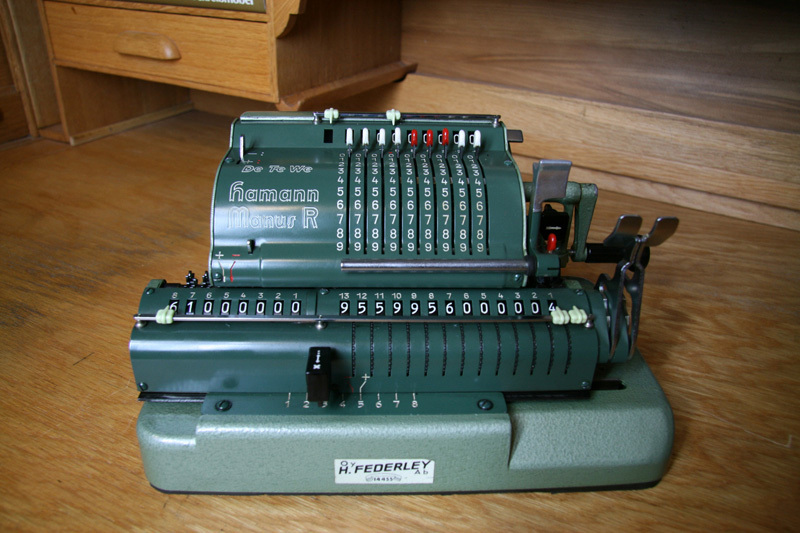 Hamann Manus looks like and Odhner type pinwheel calculator from the outside but the mechanism was entirely different. Production continued until the 1970s when the calculator division was sold to the American Smith-Corona Co.